The search giant has rolled out Morse code on Gboard for iOS and is making improvements to Morse code on Gboard for Android as well. Google is helping people learn how to type in Morse code. The search giant has rolled out Morse code on Gboard for iOS and is making improvements to Morse code on Gboard for Android as well. For this, earlier this year, Google had partnered with developer Tania Finlayson, an expert in Morse code assistive technology, to make the code more accessible. Dating back to 1800s, Morse code is a communication system where words can be spelt out and communicated using dots '.' and dashes '-'. For instance, the most common distress signal recognized by internationally is SOS, which is created using three dots, three dashes, and three dots. This isn't just meant for people who know how to use Morse code. 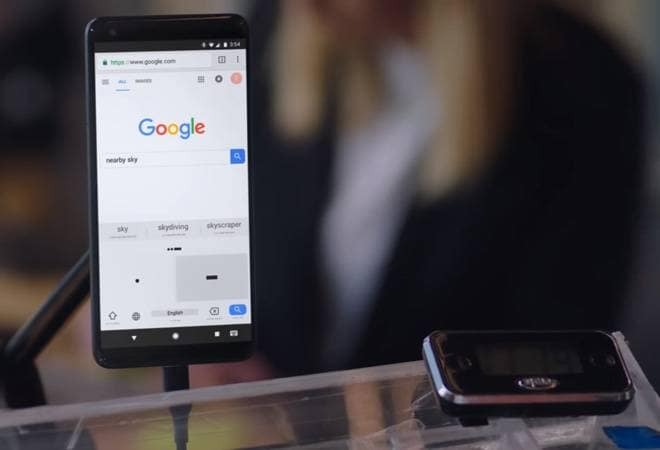 Google has also created a game on Android, iOS and desktop that can help users learn how to type in Morse code, in less than an hour. Tania Finlayson is a Morse code & assistive tech developer and was born with cerebral palsy. Finlayson, in a blog post, explains, "My experience with the Morse code communicator led me to a partnership with Google on bringing Morse code to Gboard. Working closely with the team, I helped design the keyboard layout, added Morse sequences to the auto-suggestion strip above the keyboard, and developed settings that allow people to customize the keyboard to their unique needs." The Morse code keyboard on Gboard will allow using Morse code (dots and dashes) to enter text, instead of the regular (QWERTY) keyboard. Gboard for Android lets you hook external switches to the device, so a person with limited mobility could operate the device. Finlayson further adds, "Most technology today is designed for the mass market. Unfortunately, this can mean that people with disabilities can be left behind. Developing communication tools like this is important, because for many people, it simply makes life livable. Now, if anyone wants to try Morse code, they can use the phone in their pocket. Just by downloading an app, anyone anywhere can give communicating with Morse code a try."